This week I have a quick and easy trick that will allow you to have your computer speak to you. 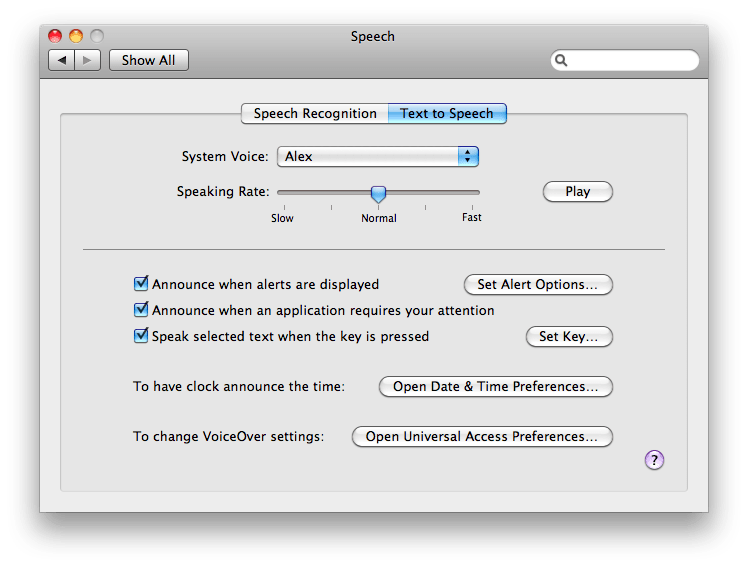 The first step is opening your system preferences and selecting “Speech”. You should then select “Text to Speech” and after select “Speak selected text when the key is pressed”. Then up will pop a screen that asks you for a key combination and just select the key or keys that you would like for your combination. You can also browse through the many options available including different voices and voice speed. Now to actually get your computer to say what you want you just highlight with your cursor and use the key combination that you previously chose.